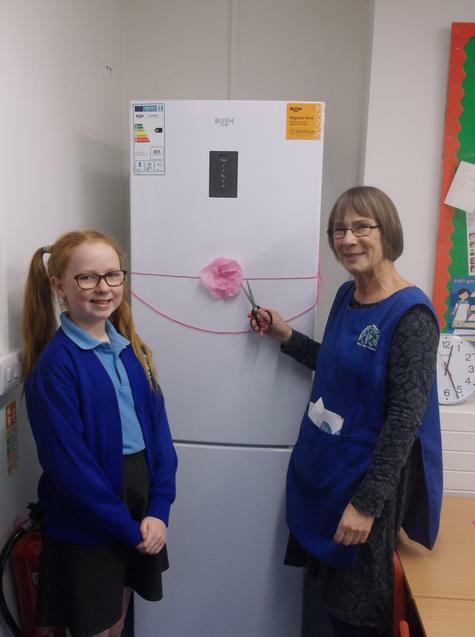 Mrs Platt can be seen here with a member of the school council celebrating the arrival of a new fridge. The fridge will be well used when Mrs Platt teaches cookery to the children. The purchase was made possible with a very kind donation from some of Hambledon's villagers.